To all scrappy, indie web series trailblazers; Welcome to Creator Cast! In this episode, Amanda and Kit talk with Nikki Borges and Amanda de la Nuez, the founders and producers for the Instagram webseries InstaMiniSeries. The InstaMiniSeries starring Tavi Gevinson and Patricia Clarkson debuts Feb. 24. Even after his death, David Bowie is revolutionizing pop culture. Instagram announced that it is launching "Unbound," a 16-episode series inspired by the songs from the rock legend's last album, "Blackstar. InstaMiniSeries "takes the audience on a journey of evocative images inspired by the moods suggested in the album’s music, lyrics and artwork"
The late David Bowie will be featured in an upcoming mini-series on a rather surprising platform. A 16-episode visual interpretation of David Bowie’s final album, “Blackstar,” is set to debut exclusively this week on Facebook’s Instagram. 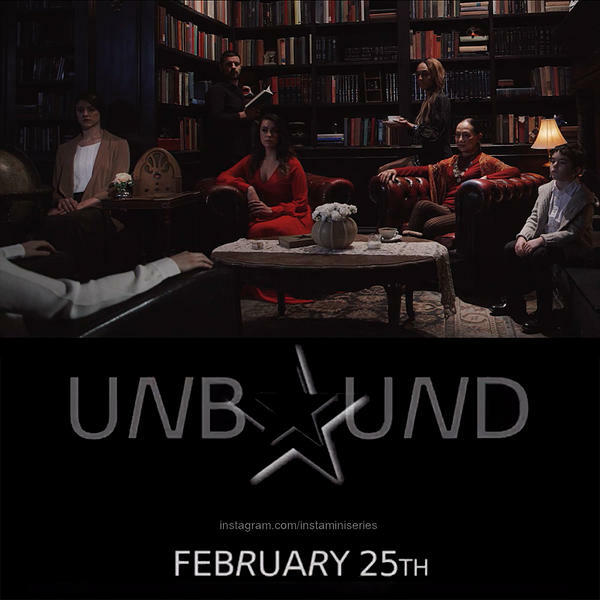 Tonight a David Bowie Instagram series called “Unbound” debuts on InstaMiniSeries, an account created in 2014 by New York City-based actress and producer Nikki Borges and Amanda De La Nuez. In fall 2015, David Bowie gave InstaMiniSeries, a video series on Instagram, direct access to his final album Blackstar before its release for a 16-episode series called UNBOUND: A ★ InstaMiniSeries. It’s too cold to go out. Your remote is working, but forget flipping though the channels: let us guide you. Your stereo is searching for something better than what you’re listening to now? You need a new book? We hear you. Here are our recommendations for what’s streaming on TV, what should be rocking your apartment and great reads to curl up with. A web series that debuts its episodes on one of the hippest, newest web video platforms is ironically taking its cues from the oldest form of video entertainment. Silent Brokelyn, which is separated into 15-second installments on Instagram, is a modern day silent film. “Silent Brokelyn” is using a new medium to celebrate a very old one. The first series distributed on InstaMiniSeries, an Instagram account promoting 15-second films for the mobile platform, “Silent Brokelyn” is a take on silent movies, complete with the period-appropriate soundtrack, intertitles, and the big, exaggerated movements of the early 1900s.